It has been long time since my last post about nail art. This one is actually last month nail art. Just now have time to post about it. Since it's summer time... bright nail color looks like suit the season. 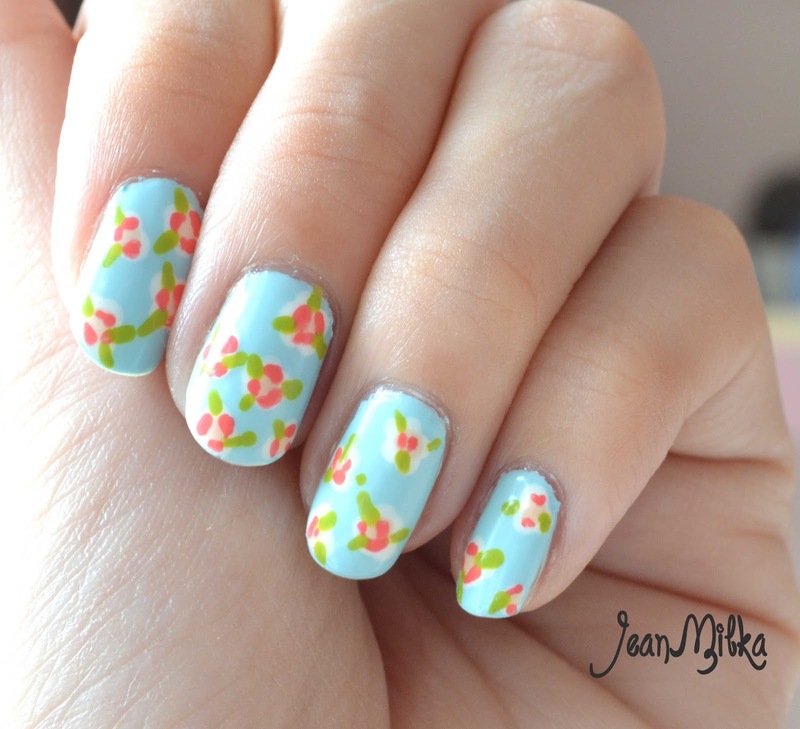 This nail art is just basic flowers nail art *the only nail art I can do right now*. 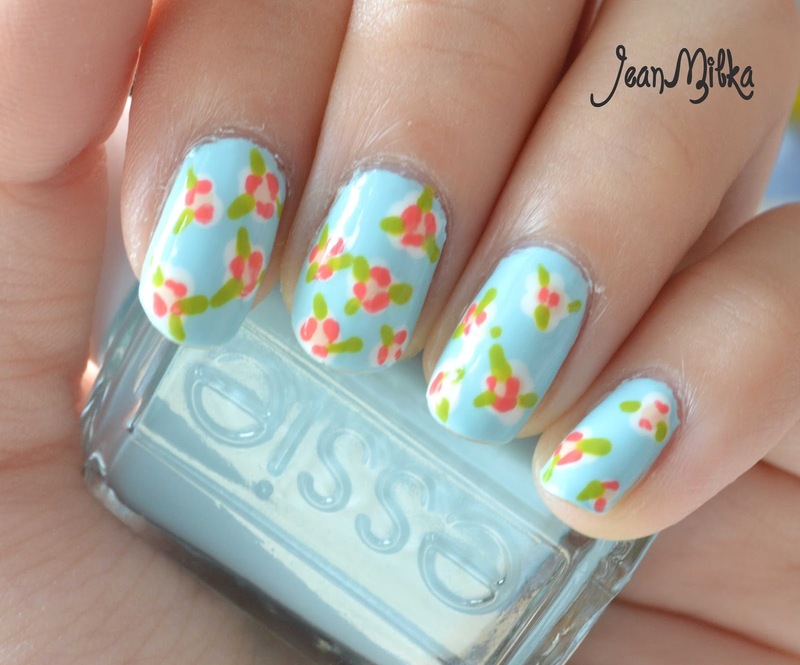 I really love the Mint Candy Apple from Essie which is base color for this nail art. It's quite simple and easy for beginners. As you can see that my result is far away from perfect. I always said that nail art is all about practice. I am really encourage you to start learning about nail art from now. 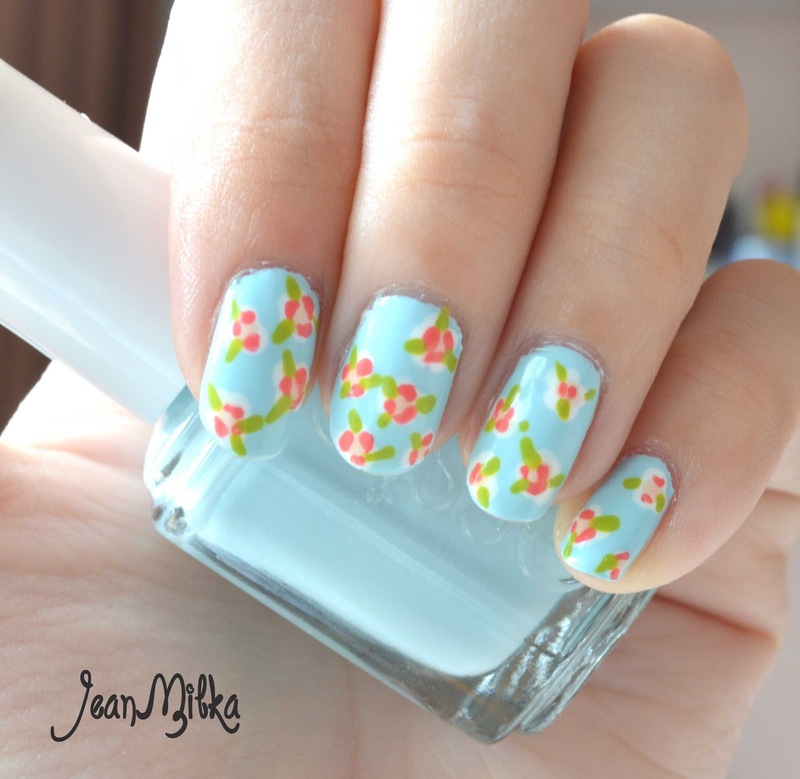 That is for Today nail art tutorial, If you trying this kindly mention me to Instagram or Twitter @jeanmilka. Reader : Do you know any cuticle product for dry cuticle? I almost used up my last Cuticle Balm *check out my cuticle balm here* and I am on hunt for another cuticle product for my dry cuticle... Kindly comment down bellow if you have any suggestion. 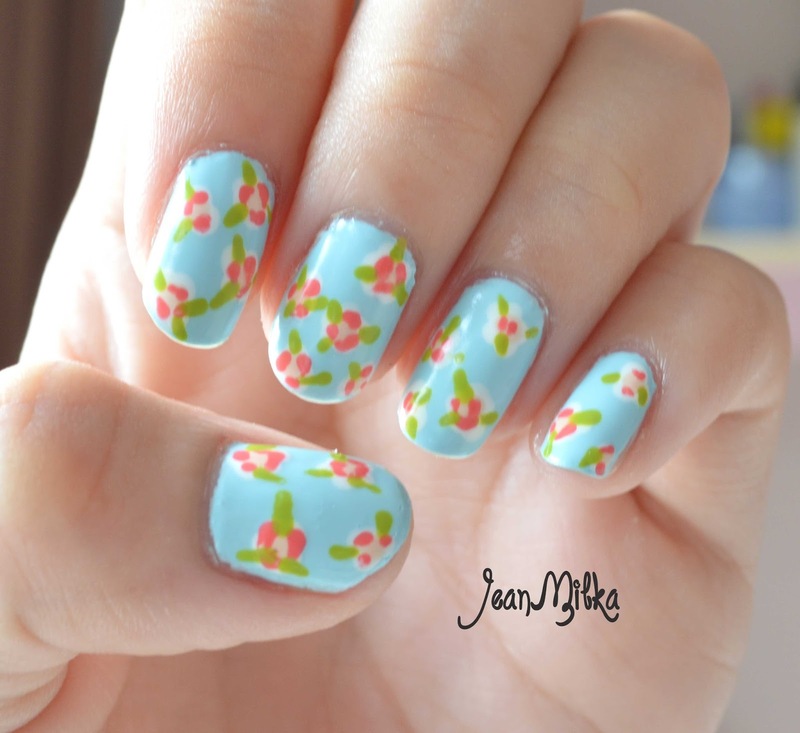 11 komentar on "Pink Manicure : Summer Flowers Nail Art Tutorial for Beginners"